Finally, you can listen the new audio track from the short story “Vertishak”, written by K. T., Nagra Demaria and produced by Ivo De Palma. Don’t forget to choose “Vertishak” from the high Menu and listen the other parts of the story! 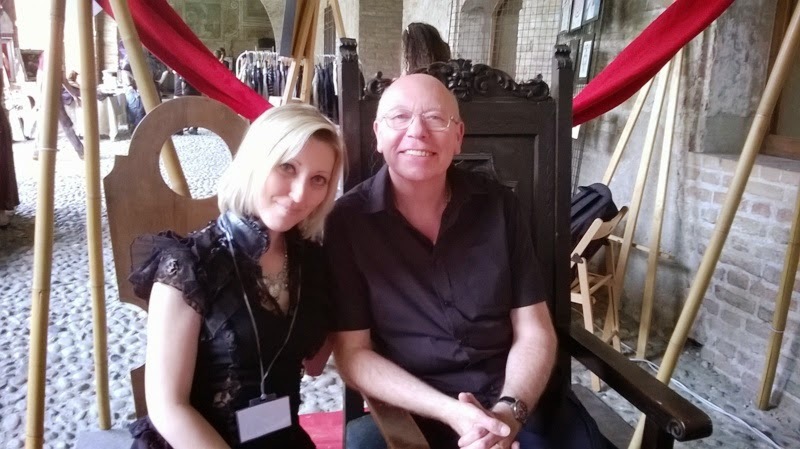 Mr. Stan Nicholls and me at Pandino Fantasy (May 2014). It was a beautiful day. Knowing Mr. Stan Nicholls, then, it was therapeutic. 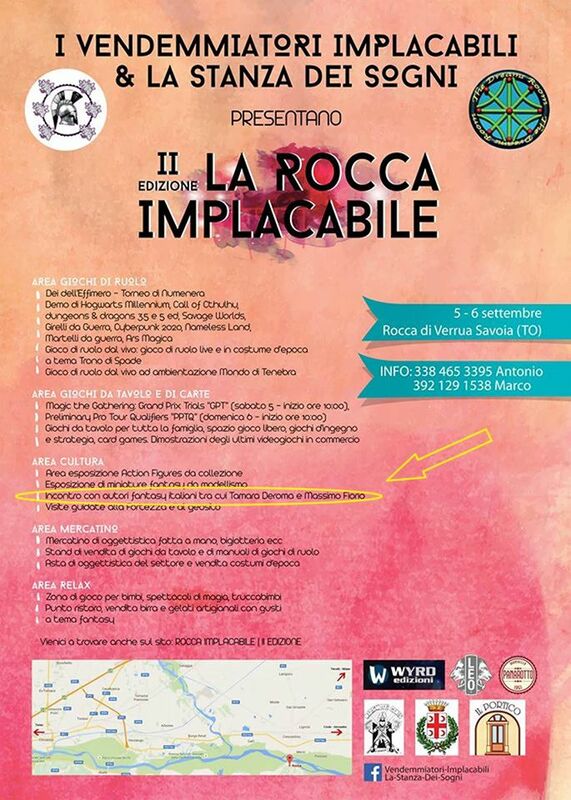 “La Rocca Implacabile” Fair at Verrua Savoia. The 7 Ruling Demons at Verrua Savoia. The 7 Ruling Demons await you at the Fair of Verrua Savoia. Here, you will find all the novels and the sympathy of K. T. And don’t forget the beauty of the fortress! It would be a shame, miss it.